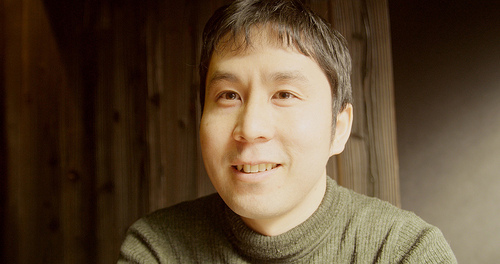 Daisuke Amaya, also known as "Pixel," is an independent video game developer best known for his 2004 PC game "Cave Story." As the sole developer (artist, programmer, composer, etc) of "Cave Story," Mr. Amaya is considered an important figure in the early independent game development scene, as his critically acclaimed work has been cited as important and inspirational to other developers. Personally, I found "Cave Story" to be extremely enjoyable to play when I discovered it some years ago, and I was impressed by its high quality. This impression was coupled with surprise and admiration as I learned of its origin as a one-man production. Although I am now aware of other video game auteurs, his story is perhaps the one that originally convinced me that high-quality video games could be produced by a single person. More importantly, experiencing his work marked the beginning of my exploration into independent games. Discovering the independent gaming scene subsequently broadened my definition of art to encompass video games. I believe I have been exposed to several enriching experiences because of that redefinition, and am inspired to create because of those experiences. I truly believe that the multi-faceted talents and artistic expression of Mr. Amaya and similar individuals should be appreciated, especially vis-à-vis the often mindlessly commercial aspects of the industry as a whole. A tribute site featuring downloads and translations of the original game. The Wikipedia page on Cave Story, useful for a general overview. An interview with Mr. Amaya on a website devoted to the video game development industry.